Administrators appointed to investigate the London and Capital Finance company have expressed concern about the true value of the Waterside Resort hotel and holiday lodge complex at Lanivet, Bodmin, which absorbed more than £20 million of the firm’s £236 million collapse. The Serious Fraud Office has now joined city watchdogs in trying to find out what happened to about £70 million which ended up in the personal possession of a handful of individuals. About 11,500 investors stand to lose out. The SFO investigation is the latest development in a decades-old saga which has seen this quiet part of the Cornish countryside dogged by controversy. One of the more colourful individuals at the centre of the current scandal is a wealthy Conservative Party donor and former chairman of the Daily Sport. Simon Hume-Kendall has donated at least £60,000 to the Tories, and last year gave £5,000 to the constituency of cabinet minister Amber Rudd. £54,000 of Mr Hume-Kendall's donations have been made since September 2017. Mr Hume-Kendall's cash is not the only link between LCF and the Conservative Party. The marketing company hired by LCF employs Plymouth Conservative MP Johnny Mercer as an £85,000-per-year non-executive director. Mr Mercer shares a House of Commons office with, and is a good friend of, North Cornwall MP Scott Mann. There is no suggestion that either Mr Mercer nor Mr Mann knew anything about LCF or has done anything wrong, but their association with Mr Hume-Kendall may turn out to be something of a political embarrassment. 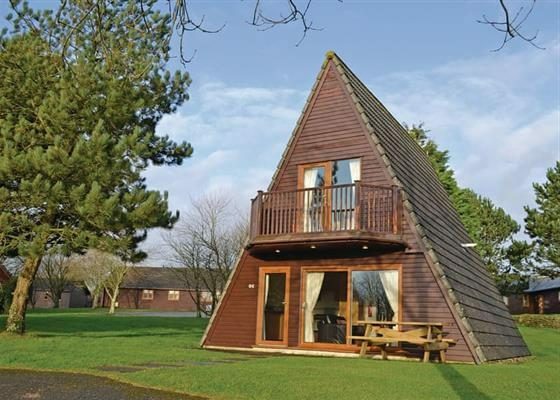 The initial Lanivet planning application was unusual enough – a strange collection of wigwam-shaped structures suddenly appearing in the middle of a field - leading to a timeshare development known initially as Lakeview Country Club. In 2015, the site announced plans for a luxury holiday complex that was to be backed by a Chinese company, SinoFortone. The project, which was part of a wider plan to attract Chinese visitors to the UK, was due to create "the largest and most desirable private waterside village in Britain," according to the British Chinese partnership, and bring visitors from China flocking to spend their money in Cornwall. That deal collapsed in 2017, the Lanivet site was renamed as Waterside and taken over by Prime Resort Development, whose motto is "entrepreneurial creativity and uncompromising integrity." The need to repay London & Capital Finance has now raised questions over ownership and security, although Waterside’s own website still promises that the ambition to spend more money in Cornwall is undimmed. The UK Financial Conduct Authority has been ordered to look into its own regulatory failings. Expects predict that investors will be lucky if they get 20% of their money back. LCF advertised itself as a low-risk ISA, and promised to spread funds between hundreds of companies. In reality, the fund did not qualify as an ISA, and the money was only invested in 12 companies, 10 of which were described as "not independent" from LCF. An online marketing company called Surge produced all the marketing materials and took 25% of all investors' money as a commission. Smith & Williamson, administrators appointed to salvage what they can, have now produced an initial report which is scathing about the way the Waterside complex – formerly known as Lakeview – sold unsecured bonds to help raise cash for its development. 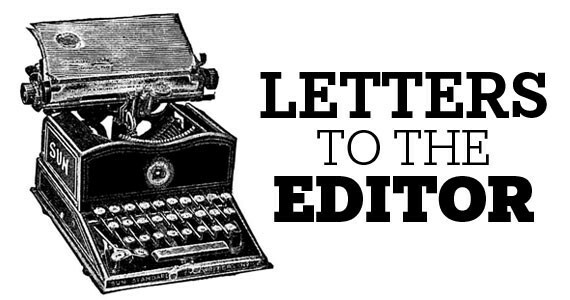 “Following an initial site visit to the property we have some concerns as to whether its value will prove sufficient to satisfy the 75% loan to value (LTV) covenant under the facility agreement, but we do note that some refurbishment of the central amenity block is evident,” says the report. “We do not, at this time, have up up-to-date information on current trading, which would inevitably have an impact. Our assessment in this regard is ongoing. “We are very concerned that the management of Waterside, which is well aware that the LCF Bondholders are depending on the value of the LCF borrowers and sub-borrowers for their repayment, has made no real efforts to prove to the administrators either the value of the Waterside business or of the security provided to secure the repayment of the debt. The loans to Prime form part of a complex series of transactions that administrators say ended up enriching a small group of connected individuals including Andy Thomson, the boss of LCF, and Simon Hume-Kendall, founder of LCF’s predecessor company and chairman of its biggest borrower. LCF collapsed in January following the decision of the Financial Conduct Authority to investigate “misleading marketing” which had promised 8% return on investment. Police subsequently arrested four people, all of them later released pending further inquiries. Smith & Williamson say that in April and May 2017, six companies with property interests in Cornwall, Cape Verde and the Dominican Republic arranged loan facilities totalling £70 million from LCF. 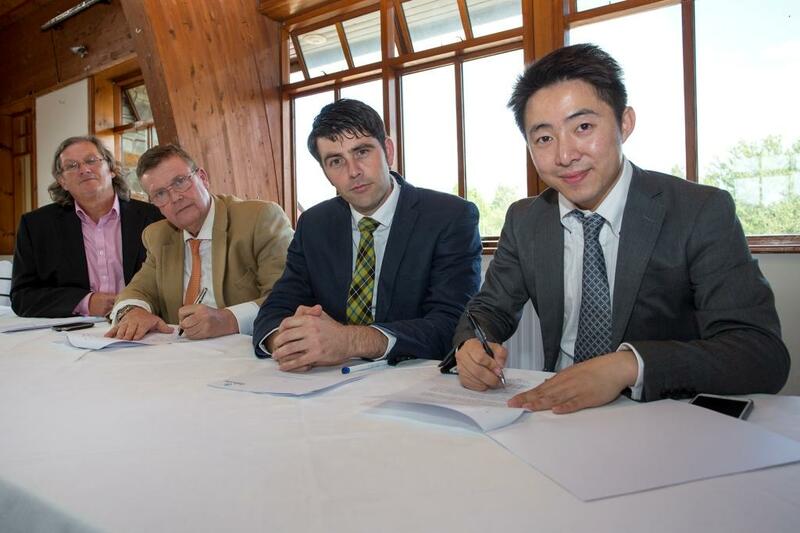 Once upon a time: In 2015, Andy Thomson (far left) and Simon Hume-Kendall joined North Cornwall MP Scott Mann, and Dr. Peter Zhang, Managing Director of SinoFortone Group to sign a Memorandum of Understanding that was supposed to bring thousands of Chinese holidaymakers to Cornwall. Mr Hume-Kendall is a former chairman of the Tunbridge Wells Conservative Association. The Cornwall-China deal collapsed in 2017. According to the Financial Times, Mr Thomson and Mr Hume-Kendall are among those recently arrested by the Serious Fraud Office, and later released pending further investigations. These companies were bought by Prime Resort Developments in late 2017. It bought some of the companies from a group owned by Mr Hume-Kendall, 65, and Elten Barker, 46, and others from a firm that had bought them in early 2017 from Mr Hume-Kendall, Mr Thomson, 46, and Mr Barker. The complex, interconnected series of property deals is expected to take months to unravel. Administrators say that the transactions related to the property companies resulted in “multimillion-pounds” of bondholders’ money ending up in the personal possession or control of individuals including Mr Hume-Kendall, Mr Barker and Mr Thomson. Prime has confirmed that it used the £70 million loans from LCF to fund the purchase of a series of property companies, which were either owned by or had links to the men. But it accused the administrators of being “unnecessarily aggressive” and “prejudicial to our business” and said it was working on a refinancing as soon as possible “with the intention of repaying the loans..
Ian Sands, 68, owner of Prime Resort Development, set up a separate financial management business venture with Mr Thomson last year, though the company is not active. Smith & Williamson have called a meeting of LCF creditors, scheduled for April 24.